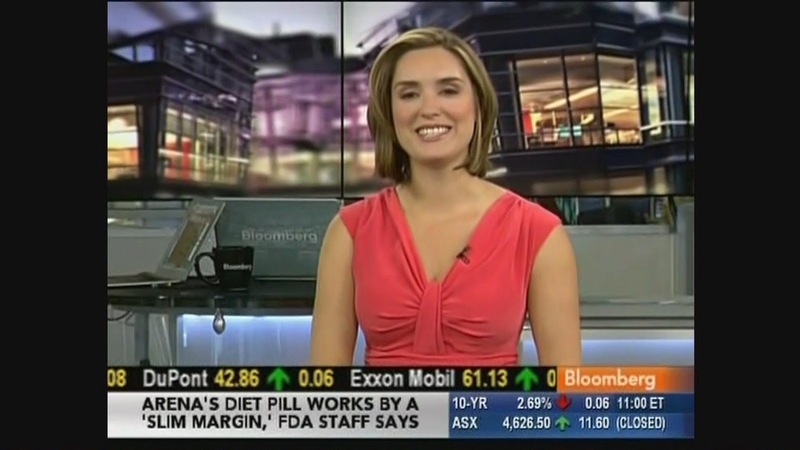 Margaret Brennan is an anchor and reporter for Bloomberg television. ‘InBusiness with Margaret Brennan’ airs from 10am-12pm ET. The daily program focuses on the global markets and the interconnection of geopolitical, economic and consumer trends. It is simulcast on Bloomberg radio and T.V. Since launching "InBusiness" in late 2009, Brennan has covered the Irish financial crisis live from Dublin, the Emirates' sovereign debt crisis from Dubai, and reported on social and economic changes within the Kingdom of Saudi Arabia live from Riyadh. Lots of leggy beauties on Bloomberg. BTW..If you record caps from the live TV feed on the Bloomberg web site, the stock ticker is NOT displayed on the lower screen to spoil the leg shots.